Garanntor has become the best place to get Web Hosting, Domain Name or vps. Garanntor recently gave most of it customers some free coupon code to use for any of it product and it was an amazing time for some webmasters here in Nigeria and abroad. Today we are going to be teaching you how to buy domain name from garanntor.ng with some simple and easy steps. Just follow it carefully and if you have any issue integrating it to your blogger blog let us know. 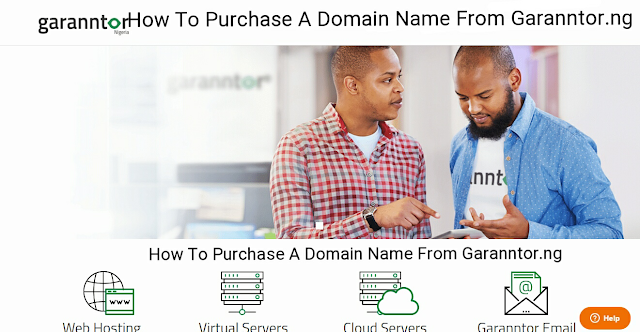 First you need to navigate to either garanntor.com or garanntor.ng on your browser. Now login to your account or if you don't have an account just click on "Register" button at the top. Now "Login" to your account if you already gave an account and click on "Products " tab at the top. Then a drop down list will display just click on "Register Domain". Now search for your domain name using a given to you and if it is available you will get a congratulation message. During this process if you have any coupon code given to by garanntor you can insert it to a little box at your right below and get some instant discount for any domain name you are buying. Now if you are buying this domain name for a year then just click on "Add Domain". On this page all you need to do now is to click on the two check box you see in the image below but if you want to get the ID protection you can just click the check box too it will cost you. Now a page with your contact details will display just move your mouse down and click on any payment system you want to use like bitcoin or payza. Click on the complete order button below. Now if you are using the "Visa/Master Card/ Bank debit (N)" you will see something like this after inserting your card number and cvv number at the back. Just insert your "ATM pin" and then you will get a successful message just wait it will redirect you back to garanntor portal. Now click on "Click Here" to go to client area and that's all hope you enjoyed it. Now what next? 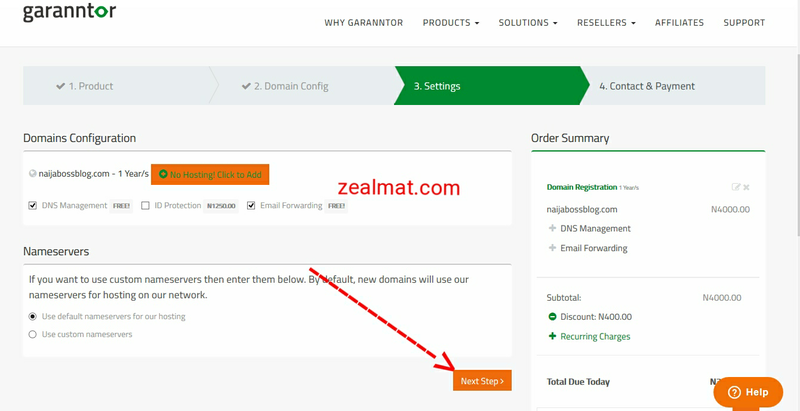 We need to "configure/map" this domain name to our blogger blog so this tutorial will guide you on that manually if you don't want to contact the customer service for assistance.